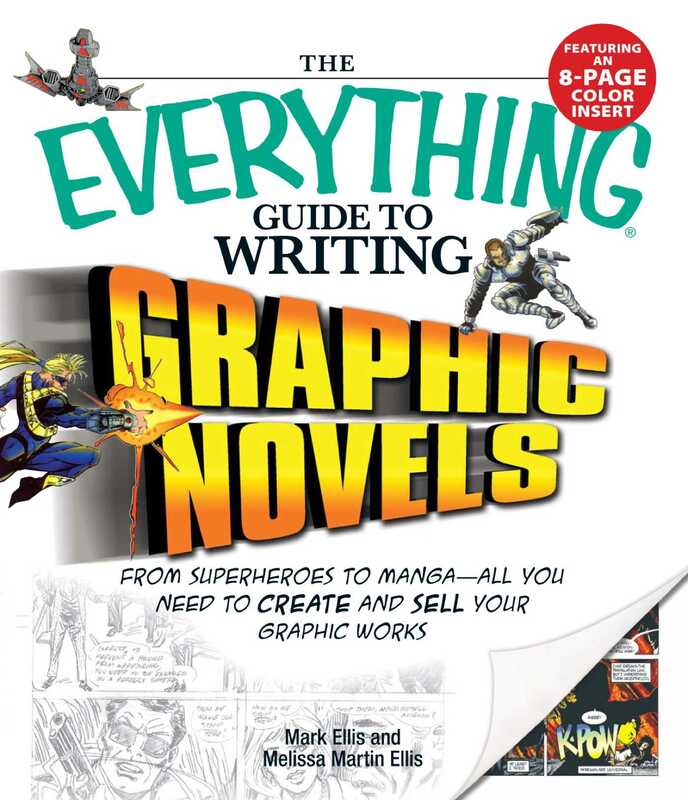 Create your own illustrated world with The Everything Guide to Writing Graphic Novels! Watchmen. V for Vendetta. A History of Violence. The Sandman. 300. You’ve read them, you’ve loved them, and now you want to write and illustrate them. The Everything Guide to Writing Graphic Novels is your shot at the big time. Whether you want to go as dark as Sin City, as funny as Bone, or as poignant as Maus, this book shows you how to do it all. It’s all here for you. Professional graphic novelists Mark Ellis and Melissa Martin Ellis show you the ropes of the industry and how to make your graphic novel matter. They help you to take the ideas out of your head and put them onto the page. Lavishly illustrated with more than 100 drawings, this guide also features full-color examples of Mark Ellis’s distinctive graphic style. Dramatic? Humorous? Off-beat? With pen in hand, it’s up to you. A whole universe of characters and volumes of stories are waiting to be created—now give them life!